The United States of America has blamed the killings in the Middle Belt and northern Nigeria on what it identified as the reign of impunity,. 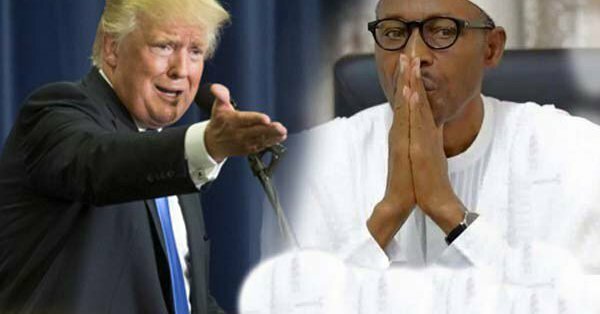 The American government also said the killings increased because the perpetrators were not punished.“The Nigerian government should strengthen its laws to deal with killers,” it advised.The US also urged the administration of President Muhammadu Buhari to ensure the conduct of a free, fair, transparent, peaceful and credible process of the 2019 general elections by the Independent National Electoral Commission. “We want partners in ways to ensure that the kind of violence we have seen over the past months don’t flare up in any election”, the American government stated. The Deputy Chief of Mission and Charge de Affaires, US Embassy in Nigeria, David Young, expressed these views in an interview with journalists on Sunday night in Jos during his fellowship with church leaders in Plateau State. He also paid tribute to the 83-year-old Imam of Nghar village, Gashish District, Alhaji Abubakar Abdullahi, who reportedly saved 300 persons, including Christians when suspected Fulani herdsmen struck on June 24. The acting US Ambassador to Nigeria also reiterated the condolences of the Donald Trump’s administration to the families of those killed by suspected Fulani herdsmen who attacked some communities in the Barkin Ladi Local Government Area of Plateau State. He said, “On behalf of the United States government and American people, I want to express again our condolences on the tragic loss of lives across Plateau, North-Central and North-West states. Quite a lot of people have died; it has been very terrible tragedies. We want to affirm the sanctity of human lives and anytime a person dies, it is a tragic loss, be that person a Christian, Muslim, Berom, farmer or herder. “I think it is clear, we know and government knows that as well. A lot of people are doing good things and working hard. But it needs to be even more because it is clear that there is a climate of impunity. When people are committing serious crimes, they get away with it, without being brought to justice. Young said key actors in Nigeria should be deeply involved in the peace-making process.